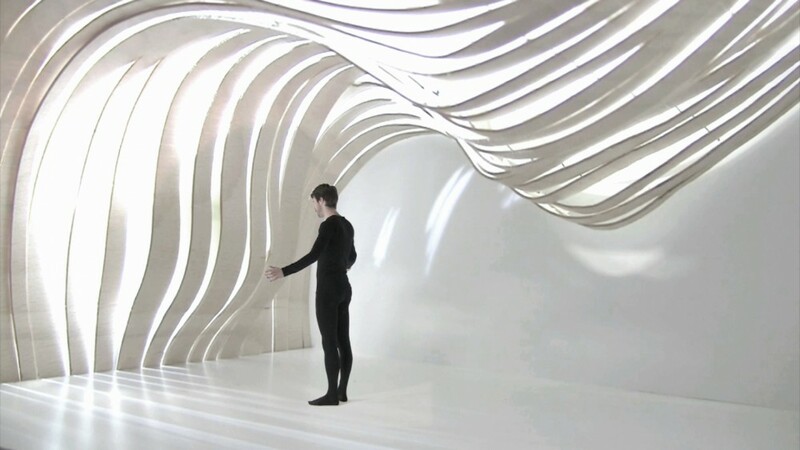 Shimmer is an architectural product concept designed to facilitate well-being through surprise, movement, natural noise management, air movement and natural light dispersion. 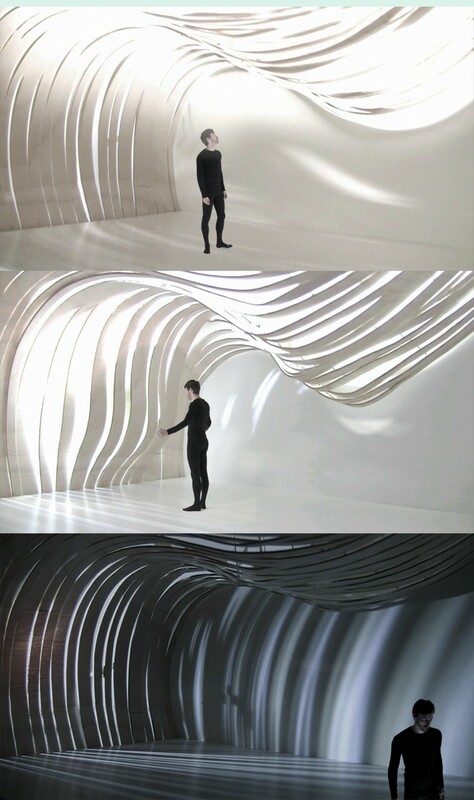 The ‘stripes’ are based on flexible elements that emit natural light and channel air. They can transform to change the interior characteristics of a space in response to people and the atmospheric/lighting conditions outside.